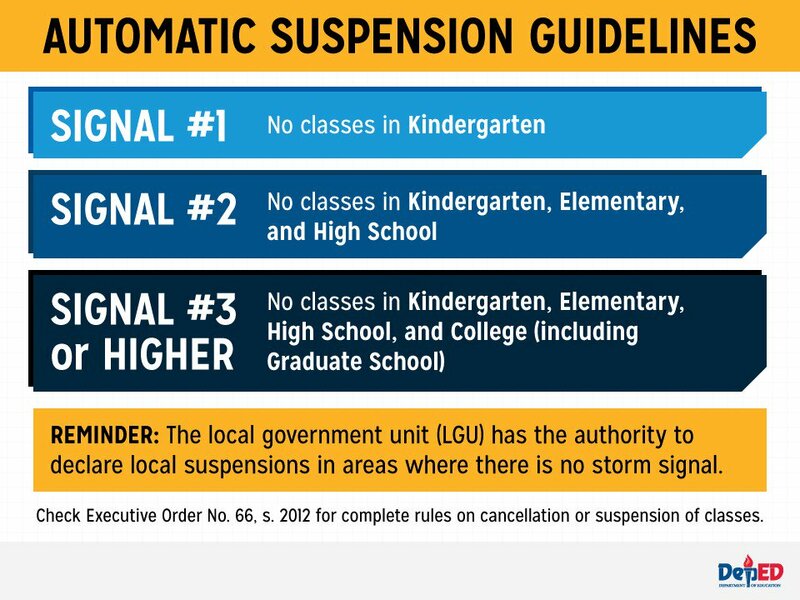 MANILA, Philippines - (Updated as of 7:23 a.m., August 11) Due to inclement weather brought by Low Pressure Area (LPA) and Southwest Monsoon (Habagat) affecting Luzon, Metro Manila and Visayas areas, some local government units (LGUs) announced class suspensions for Thursday, August 11, 2016. State weather bureau PAGASA on its bulletin as of 5:00 a.m. Wednesday said that LPA was estimated based on all available data at 635 km east of Basco, Batanes (21.0°N, 128.0°E). The Southwest Monsoon is affecting Luzon and Western Visayas. "Monsoon rains will be experienced over Metro Manila, Ilocos Region, Cordillera Administrative Region (CAR), CALABARZON, MIMAROPA and the provinces of Zambales, Bataan, Pampanga, Tarlac and Bulacan," PAGASA said. "Cloudy skies with light to moderate rains and thunderstorms will prevail over Western Visayas and the rest of Luzon. Partly cloudy to cloudy skies with isolated rainshowers or thunderstorms is expected over the rest of the country," the weather central added. 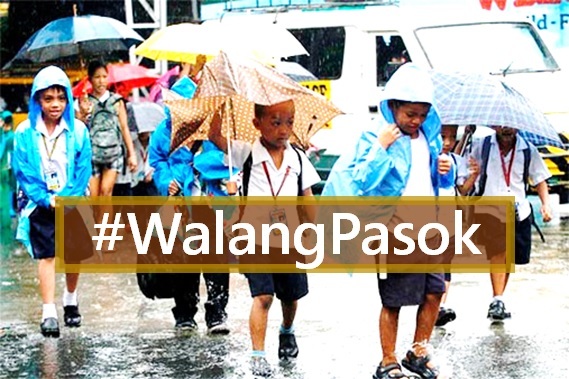 Due to difficulties and risks of poor weather to its residents, Mayor Genevive L. Reyes of Caluya, Antique made an announcement through executive order on Wednesday declaring class suspensions in all levels from August 10 to 12.